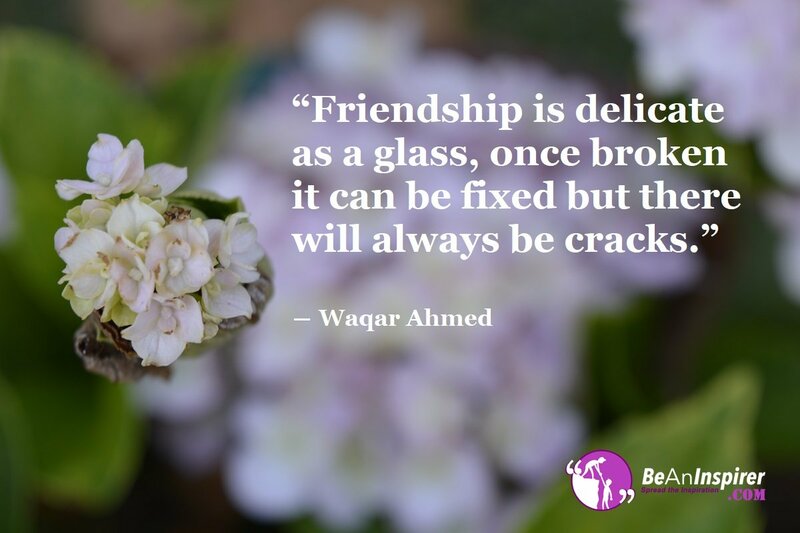 Friendship is considered as one of the most beautiful relationships in the lives of human beings and if you also own the friendship treasure, then it becomes your duty to keep it with you and losing it ever. Even if the death comes but you should be loving your friend till your last breath. Petty fights or arguments can’t break the relationship. In fact, friends are the one who would understand you even without saying anything. They are solely responsible for giving you happiness. Be it sorrow or joy, they would never leave you and always be by your side whether you like it or not!! A fake friend will always try to flatter you with his talks but your best friend can always be honest with you. A best friend will point out your strengths and mistakes both and won’t hesitate in helping you in getting rid of the problems. So, always believe in your friend and help him complete his dreams because that would only give you happiness. Your closest friend would never leave your side when you will need them. Whether it is the time of happiness or grief, the best friend will be holding your hand. Actually, in happy times and situations, you will make a lot of friends but in your most difficult times, you will only find few friends who will be by your side. So, if you own the friendship treasure, dare not to lose it ever in your whole life. If you considered someone as a friend and he/she leaves your side, then that person was never even your friend. You might be living in a lie as to consider that fake person as your friend. Therefore, if you think you have lost a friend, then you will just need to gather courage and let your life go on. The real friends will be always by your side. Friendships which become sore due to any reason can never be back to same as it was before. Even if the friendship regains, the charm will not be the same. In the happiest times, if you don’t have friends, then your life would never be satisfied because you need friends always by your side. Friends are precious and losing even one of the diamonds will cost you a lot, so always make sure that you never enter in the fight of your two friends. The people who have got their friends by their side are always happy and the friend who gives you happiness is the one whom you should always love.